It’s Playoff Season in NASCAR circles! This September the NASCAR circuit takes you to Las Vegas and Indianapolis. Don’t miss the racing and RV tailgating at Indy on the weekend of September 8th and 9th as NASCAR features the Big Machine Vodka 400 at the Brickyard, the final of the regular season Monster Energy NASCAR Cup Series. And the next weekend NASCAR fans go to Las Vegas Motor Speedway starting on Thursday, September 13th– to Sunday the 16th, where the celebrations begin early on the 13th at the Speedway for the three big NASCAR races. The Brickyard 400 will mark the final race of the regular season, determine the regular season champion and set the field for the NASCAR Playoffs, which begin the following weekend at Las Vegas Motor Speedway. The second weekend in September, see all of your favorite drivers in fabulous Las Vegas during the Fall NASCAR Weekend, Sept. 13-16, 2018. Fans can also experience the one-of-a-kind Neon Garage featuring live music and entertainment all weekend long. It’s your up-close view of the garages from behind the glass and a great view of Victory Lane. Driver Introductions and Lucky 7 Preferred Parking Passes also are available. The event-filled weekend includes the inaugural South Point 400 Monster Energy NASCAR Cup Series playoff race, the DC Solar 300 NASCAR Xfinity Series race, the World of Westgate 200 NASCAR Camping World Truck Series playoff race and the Star Nursery 100 NASCAR K&N Pro Series West race at The Dirt Track. Be sure to contact the campgrounds as early as possible as they may be filling up soon. 2) Las Vegas Motor Speedway: If you are lucky, you might be able to get in the Speedway for camping, but if they are filled, check out these surrounding possible places to park your RV. To learn more about each of these parks, please contact them directly or go to their websites. To get additional race information, please visit the NASCAR website. Extend your stay around Las Vegas and see the beauty of the natural world. Don’t forget to take time to enjoy the scenery – if your schedule permits, there are tons of exciting sights to see around Las Vegas, and not just the casinos. Try a trip to Red Rock Canyon National Conservation Area, located 20 miles from the Las Vegas Strip, which allows visitors to hike, picnic and view plant and animal life under 3,000-foot-high red rock formations. Or check out Lake Mead, where you can feast your eyes on one of the largest manmade lakes in the world, Lake Mead is fun to escape to when you want to take a dive in a natural body of water. There are also brunch, dinner and sightseeing cruises, if you’re one of those people who would rather stay dry. FYI, this lake borders the Hoover Dam which is a wonder worth seeing itself. To rent an RV for your trip, our location closest to Indianapolis is our Louisville rv rental location; and to find our rv rental locations in Nevada, click here for three choice locations. Been dreaming about watching not one but four NASCAR races in one long weekend? How about 4th of July weekend in Chicago? If you are a NASCAR fan anywhere in the Midwest, you can experience Chicagoland Speedway’s NASCAR weekend (for almost a week) from June 27th to July 2nd. Get up close and personal to your favorite drivers; experience a pre-race drivers’ meeting as if you were a racer, and enjoy the 400 Pre-Race Concert, featuring Randy Houser. Not only that, but you can actually camp at the Speedway for the whole long weekend. RV campers can park for the full four race dates from June 28th to July 1st or stay the whole long weekend from the 27th of June to the 2nd of July. Camp Wednesday through Monday morning and enjoy four races as NASCAR’s stars come to this magnificent mile and a half. With over 1,800 campsites in four different campgrounds, you will find easy camping within earshot of the world’s greatest drivers leaving their best on the track. Plus, don’t miss the camper-only parties, music, giveaways and so much more! Below is a brief outline of your RV Camping options at the Speedway. For all pricing and details please see their website. Stay in Lower Ridge, Chicagoland Speedway’s backstretch campground! Complete with 30-amp electric, experience an exciting NASCAR atmosphere in this RV campground. Never miss a moment of all the racing action by staying on property. Plus you are just feet away from the nearest tram stop to get you to and from your seats for every race! If you want to watch the racing from the grandstands but stay on property, GEICO Park Lakeside is a great option for you! Never have to worry about traffic and enjoy all the best aspects of this NASCAR race weekend. Have easy access to the shuttle stop, convenience store, post-race concerts and so much more! So close you can smell the burning rubber! This is Chicagoland Speedway’s premier camping option. GECKO RIDGE (Speedway Ridge) is located between Turns 2 & 3 on the backstretch. Each space provides the ultimate race fan a panoramic view of the racing action over the entire race weekend. You get all the convenience of camping without ever missing the cars on track. If you want to bring your family to the track and be a part of a fun, family-friendly atmosphere, this is the spot for you. Located in the quiet corner of the GEICO Park Lakeside campground, you’ll never have to worry about traffic and enjoy all the best aspects of this NASCAR race weekend. Have easy access to the shuttle stop, convenience store, post-race concerts and so much more! More family camping amenities will be announced soon. Check their website for updates and details. Billed as the ultimate pre-race experience, this long weekend includes a cold garage pass, which means you get access to the pits, except when the cars are hot; usually this is up to a half-hour before the race. If you and your family are racing fans, what better way to spend your 4th of July weekend than watching NASCAR races with other fans? This could be an experience you and your family will remember for a long time to come. 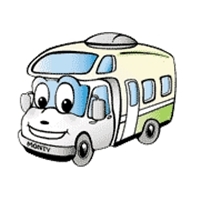 Need an RV to experience the fun? To find out about renting an RV from our Chicago West RV Rentals, El Monte RV location, please click here.